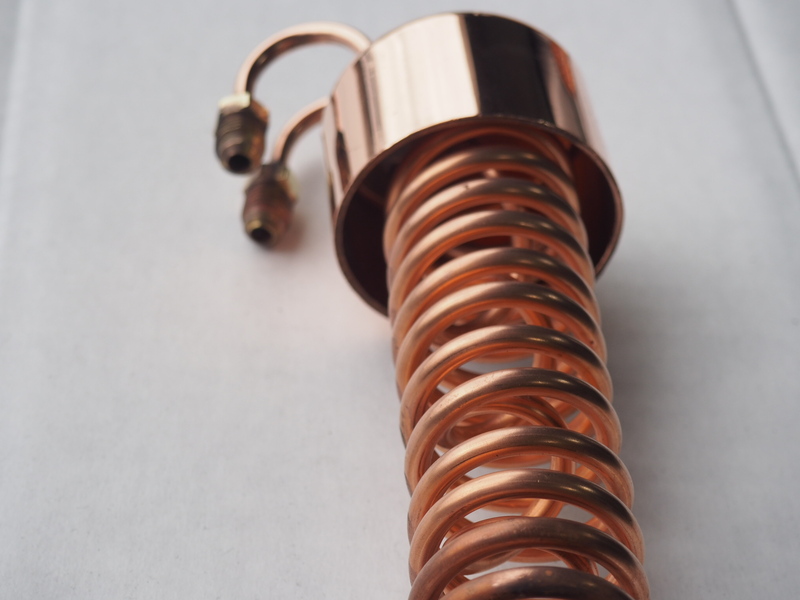 Our double helix coils are made from 3/16 in. 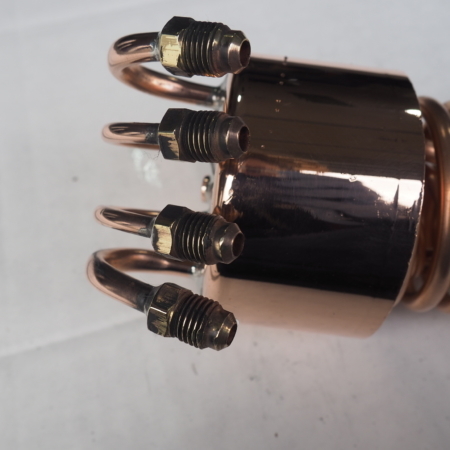 copper tubing soldered into a 2 in. copper cap. 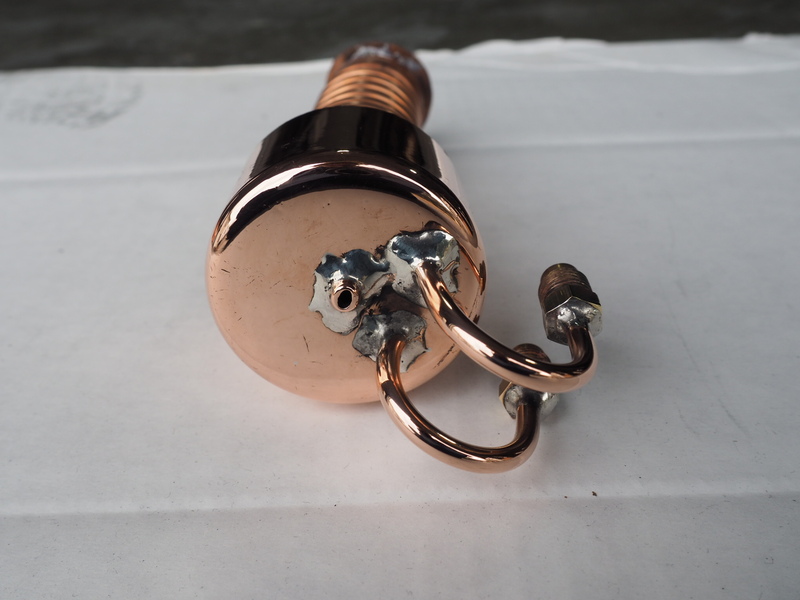 The openings have 1/4in brass compression fittings soldered on. 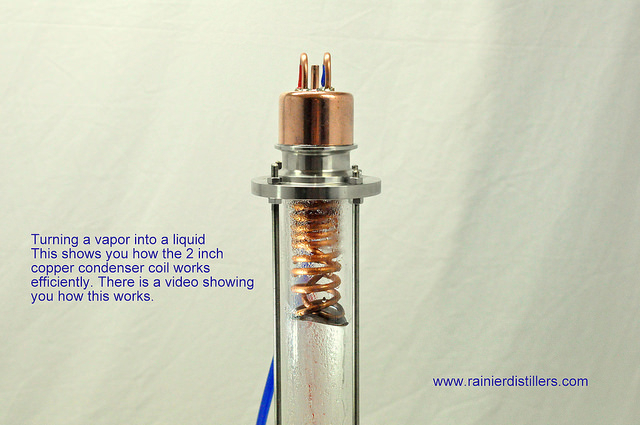 They are built to fit inside a two inch copper pipe. 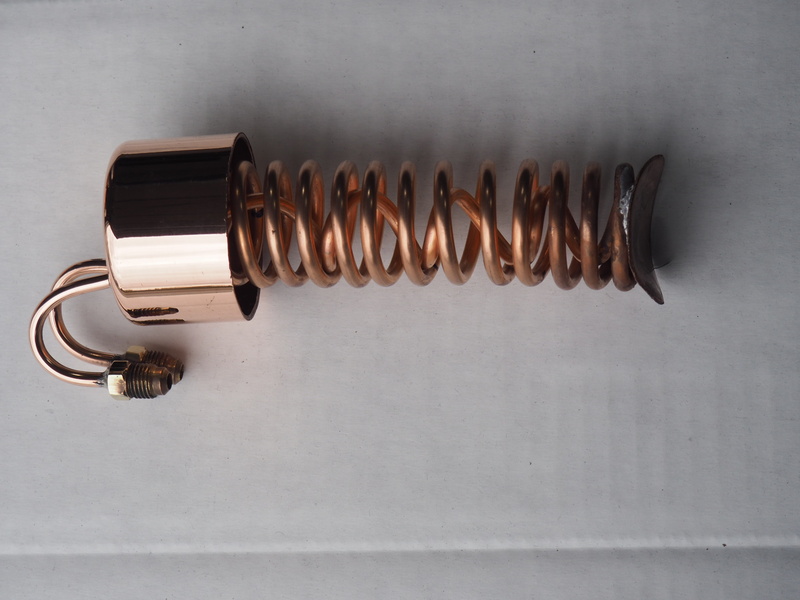 These coils are meant to be used for cooling the vapors inside our 2 in. towers.